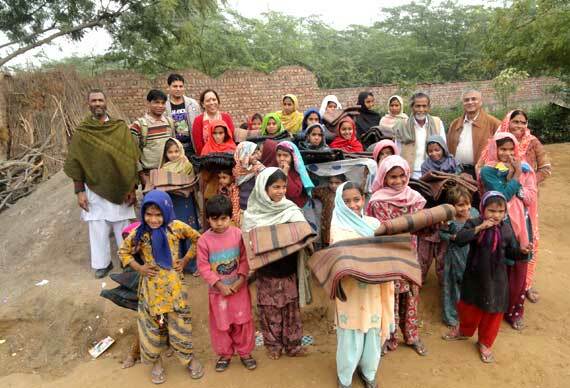 Winter Warmth For IIMPACT Girls..
A group of young well wishers recently embarked on a blanket distribution drive and donated blankets to IIMPACT – indeed a timely and very thoughtful gesture during the peak of winter. The distribution across IIMPACT learning centres started yesterday and is in full swing. All the blankets received would have been distributed amongst the most needy of the girls by this Monday. 3rd January 2011. A very warm and wonderful way to bring cheer into these young lives. A great way for the girls to bring in the New Year!